The City of Fairhope will host its annual Fourth of July Concert & Fireworks display again this year on Wednesday, July 4th in Henry George Park and the Fairhope Municipal Pier. The Baldwin Pops Band Independence Day Concert will begin at 7:00 p.m. in Henry George Park. A variety of patriotic music will be played before and during the fireworks display. The Fairhope fireworks display will begin at approximately 9 p.m. The north end of Fairhope Municipal Park will be open throughout the day and will remain open until no parking is available. The south end of the beach front park and Knoll Park will be available to spectators. Handicap parking will be available near the fountain but will be limited. Those who wish to park in the handicap area should plan to arrive early and stay until the fireworks are over. As a reminder, this is an alcohol free event and no personal fireworks are permitted. 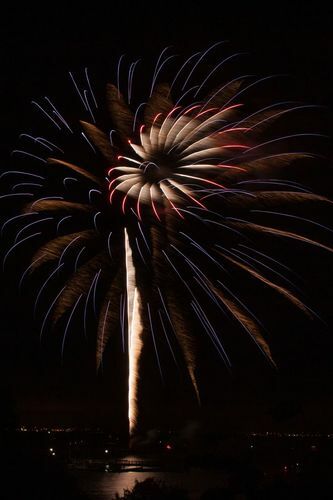 For more information on Fairhope’s Fourth of July Festival and Fireworks display call 251-929-1466.